Temperature records tumbled across Victoria as the state sweltered through furnace-like conditions that fanned a severe bushfire in the east, strained the public transport system and forced rolling blackouts. 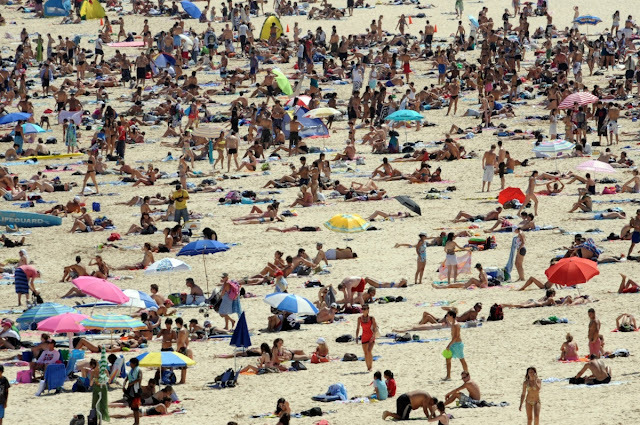 According to The Age, paramedics were called to 1300 emergencies across the state, with the number of people suffering from cardiac arrests and breathing problems increasing as the heat soared. Five children needed to be rescued after being locked in hot cars and two women passed out. Meanwhile, firefighters battled 40 blazes across the state, including a dangerous bushfire near the town of Timbarra that threatened homes. “It’s been an extraordinary summer,” Bureau of Meteorology forecaster Kevin Parkin said. According to Reuters, blistering heat triggered power outages on Australia’s strained grid on Friday as demand for air-conditioning soared and coal-fired generators struggled to meet the surge in consumption. Temperatures in the South Australian capital of Adelaide rose to just shy of 50 degrees Celsius (122 degrees Fahrenheit) on Thursday, a record high. Fish, birds, bats and other animals have been dying on a Biblical scale along with wildfires crop failure and drought and melting roads.